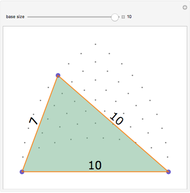 Some triangles have sides with integer length. Here, the longest side is the base. 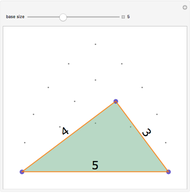 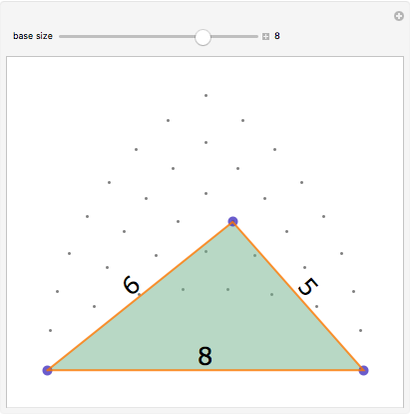 Move the top vertex to see the other possible integer-sided triangles with that base. Ed Pegg Jr "Integer-Sided Triangles"